T-Mobile has announced that they will be the first to debut the long-awaited Samsung Galaxy Tab Android-powered mobile tablet in the United States. The Galaxy Tab tablet is pre-loaded with Asphalt5 HD Demo racing game, Kindle for Android, Qik Video Chat and Slacker Radio apps, providing users an access to the newest movies and TV thanks to the Samsung Media Hub. 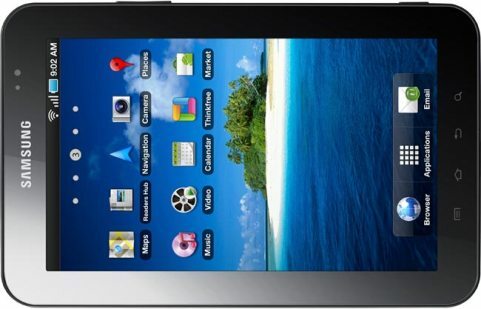 Samsung Galaxy Tab tablet based on Android 2.2 Froyo platform is expected to hit T-Mobile stores on November 10 for $399.99 based on a 2-year service contract for webConnect mobile broadband plan.